A cold week is shaping up. But let's get real and keep some fuzzy sense of perspective. Compared to past seizures of arctic air this will only be a minor migraine. Record lows this week range from -26F to -36F. Late week temperatures may dip to -10F at MSP. Not even close. With a record low of -96F in 1974 (air temperature) Russia has the distinction of being the coldest nation on earth. 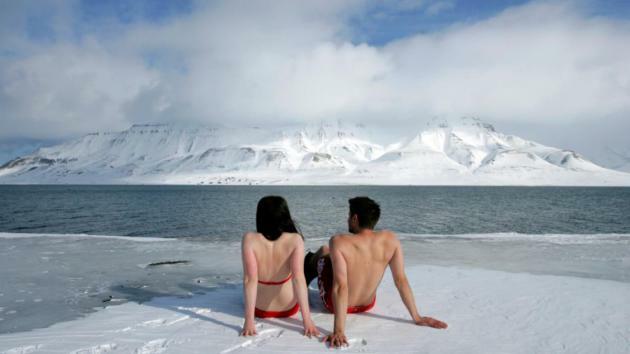 Canada, Mongolia, Finland and Iceland round out the top five coldest countries on Earth, according to Science Facts. Back in the 70s lows routinely dipped into the -20s and -30s in Minnesota. Now a low of 0F is BREAKING NEWS. Winters have warmed - we've all gotten a little soft. 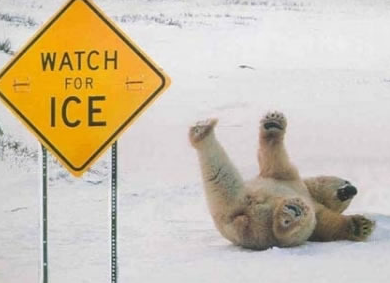 An inch of icy, slushy snow is possible today; most freeways wet during the day. 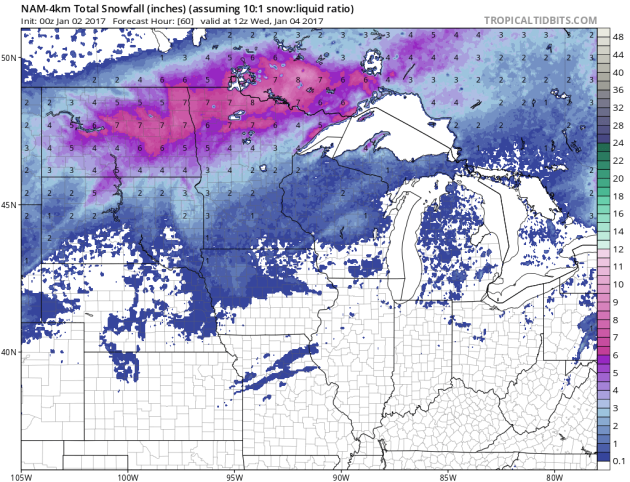 A plowable 4-inch snowfall is possible Alexandria to Brainerd and Duluth, maybe 7-10 inches for far northern Minnesota. Get ready for 5 nights below zero later this week; single-digit highs Wednesday through Saturday with a chill factor dipping to -25 at times. Bitter by today's standards but our ancestors would probably laugh at this "arctic front". Coldest Country on Earth? Yes, Antarctica is colder, but it isn't a country (yet). There are a lot of ways to quantify "coldest nation", including aerial coverage of bitter cold, the most extreme low temperature, etc, but Russia, specifically Siberia, has top honors, according to Science Facts: "Russia's winters have stopped invading armies. Rather than entering into peace negotiation with Napoleon Bonaparte, who had already conquered most of Europe by 1812, Tsar Alexander decided to let Russia's grim climate handle the French invaders. Summers in the Russian tundra are brief. Snow and rain visit this vast stretch of land at least eight months throughout the year. In 1974, a record temperature of 96 degrees below zero Fahrenheit was recorded in northeast Siberia. Russia is the coldest country in the world." (File photo credit: Wikipedia). 2016: Warm and Wet. Last year was the wettest on record for the Twin Cities; 15th wettest for St. Cloud. Snowfall amounts last winter were less than average. That may change this winter. Plowable Snow Central and Northern Minnesota. Models hint at a slushy inch for the MSP metro, maybe 2" for St. Cloud with 3-4" for Brainerd and Duluth, but over half a foot of snow for far northern Minnesota, the Red River Valley and much of North Dakota. 4 KM NAM 60 hour snowfall: NOAA and Tropicaltidbits.com. Snowfall Potential Next 10 Days. 1-2 feet of snow piles up over the higher elevations of the western USA; plowable snows for the Upper Mississippi Valley and northern Maine. Next weekend may be interesting; GFS guidance prints out a stripe of heavy snow from the Ohio Valley and Virginias to New York City and Boston. Is it real? Stay tuned for updates. Plenty Cold - But No Cause For Panic. We've seen colder, but the latter half of this week will feel like typical January weather in Minnesota and Wisconsin with 4-5 nights below zero. Wind chills dip to -25 to -30F Wednesday and Thursday, probably the 2 coldest days of the week. GFS guidance up top; ECMWF (European) numbers for the Twin Cities below. Source: WeatherBell. Cold Enough. The first surge of subzero air pushes across the northern third of America this week. Temperatures recover a little early next week before the next flush of negative numbers by the middle of next week. The good news: no hurricanes in sight. 2-meter GFS temperature forecast: Tropicaltidbits.com. Creeping Out of the Deep Freeze. NOAA's GFS model continues to hint at slow moderation by the 3rd week of January for much of the USA, but expect frequent cold frontal passages from the Upper Midwest to New England. Yes, January will probably wind up colder than average for much of America. Tornado Warnings in 2016. Map courtesy of U.S. Tornadoes, which points out that the heavy warning density from central North Carolina to southern Virginia during the February 24, 2016 outbreak was the largest of last year. La Nina May Drive More Tornadoes in 2017. 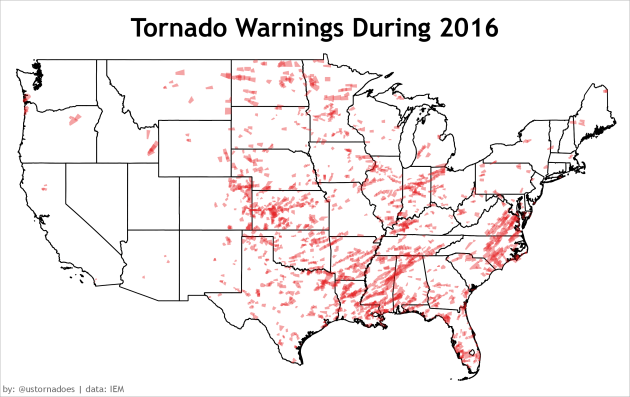 It was a relatively quiet 2016 for tornadoes, but a La Nina cool phase in the Pacific may help to spark more numerous and violent tornadoes in spring of 2017, according to EcoWatch: "...The strong El Niño of 2015-16 likely helped tamp down tornado activity this year, at least in the heart of Tornado Alley. Researchers at IRI/Columbia University have shown that the most active spring seasons for tornado and hail over the central U.S., especially the Southern Plains, are linked to strong La Niña events, while the very quietest seasons are related to strong El Niño events. In January 2015, the researchers, led by John Allen (now at Central Michigan University), called for better-than-even odds (54 percent) of a below-average number of tornadoes this year, as opposed to the 33/33/33 percent split (below, above, and near average) one would otherwise expect. (See more details at this conference presentation). As with Atlantic hurricanes, even a mostly quiet season can still produce deadly mayhem if one destructive event, such as a major landfalling hurricane or a family of violent tornadoes, happens to hit the wrong place at the wrong time. "It's an ongoing challenge to think about how to convey this information," Allen told me. "I think it's also worth noting that we still don't have a lot of other climate signals for improving our forecasts when we don't have ENSO-driven predictability..."
Map credit: "During El Nino events (top) the frequency of U.S. tornadoes typically drops. When a La Nina phase prevails (bottom) tornado frequency goes up (indicated by red areas). The effect is strongest in the boxed area." Nature Geoscience 2015, courtesy IRI. A Look Back at New England's Year in Weather. Here's an excerpt of a good recap from WBZ-TV, CBS Boston: "...A T-storm moved through eastern Worcester County, then through central Middlesex County. Isolated wind damage was reported in Marlborough and Sudbury, then it produced a tornado. Concord was hit by the tornado, classified as an EF-1 by the National Weather Service. This was the first tornado warning since August 4th of 2015. First Massachusetts tornado since June 23, 2015 (Westminster/Wrentham). And, the first “nocturnal” tornado since July 11, 1970 (2:15am in Townsend). More info on the damage here..."
High Waters: Floods of 2016 Transformed Eastern Iowans' Lives. Cear Rapids and much of eastern Iowa experienced near-record flooding last year. Here's an excerpt from The Gazette: "...In Cedar Rapids, where the Cedar River created at 21.9 feet on Sept. 27 — the highest since the historic 2008 flood — the city still is figuring the cost of a gargantuan effort to stave off what could have been a far worse calamity. In the aftermath, 19 Iowa counties became eligible for federal assistance to help rebound from at least $22 million in damage caused by extensive flooding along the Cedar River from Sept. 21 to Oct. 3, President Barack Obama declared. The Gazette’s online readers voted the Cedar Rapids flooding as the story of the year for 2016..."
Snowzilla Tops List of 2016's Most Significant Weather Events in Washington D.C. Here's a clip from Capital Weather Gang: "...When all was said and done, a controversial 17.8 inches of snow was recorded at Reagan National Airport for the District’s total, enough to tie as the fourth biggest on record. Folks like me in the northwest part of the city recorded 2 feet. Baltimore picked up 29.2 inches, its largest snowstorm on record, and Dulles International Airport recorded 29.3 inches which ranked No. 2. What made Snowzilla truly unique was that the District and most of the region picked up 80 to 85 percent of an above-average snowfall season in this one storm. Throughout recorded history, there is no other winter with that kind of stat. The closest was 1941-1942, also an El Niño winter, when 80 percent of the snow fell in one storm in late March. But that was a smaller storm, and the seasonal snowfall finished below average..."
Top Story of 2016: Thousand Year Flood. Southern West Virginia was hit especially hard in late June. Here's a recap from Register-Herald.com: "A day that dawned with severe thunderstorms and torrential downpours and ended in tragedy, June 23 undoubtedly will go into the Mountain State's history books as the day of the thousand-year flood. Southern West Virginia's hardest hit area, Greenbrier County, saw 11 inches of rain fall in less than 12 hours that Thursday, according to Emergency Management director Al Whitaker. Affecting 44 of the state's 55 counties, the downpour caused flash flooding of small streams through neighborhoods that had never before seen a flood. In many places, that water drained into nearby rivers; the Greenbrier, Meadow, Elk, Gauley, Cherry and New all peaked above flood stage. Swept away in the floodwaters were roads and bridges, parks and schools, homes and businesses and, most dear, 23 lives — 15 in Greenbrier alone..."
Photo credit: Rick Barbero, The Register-Herald. "A house was forced from its foundation and floated onto Anjean Street in Rupert had to be cut in half to open up the lane." Top 6 Southwest Florida Weather Events in 2016. Fox4 in Fort Meyers, Florida has a recap: "From tornadoes to summer storms, hurricanes to record heat, 2016 has been a year of some wild weather across Southwest Florida. Here's a list of 6 of the top weather events this year. Last winter was marked by El Niño, a pattern favoring more active weather for Florida, including a greater occurrence of severe storms and tornadoes. In mid January, a rare EF2 tornado struck SW Cape Coral leaving a trail of downed trees, damaged homes and devastation. More instances of tornadoes and damaging winds would occur with impacts felt in Fort Myers, Port Charlotte, Naples and Golden Gate..."
Freakish EF-2 Tornado for Coastal Oregon in 2016. Beachconnection.net reviews the strong tornado that shocked residents of Oregon in 2016: "...The highest profile event on the entire Oregon coast took place in Manzanita and Oceanside on October 14 when both places had a tornado lumber through. In Oceanside there was no damage, but Manzanita had over 100 homes and buildings torn apart, power lines ripped out and the town was actually cordoned off for a few days. Most dramatically, the town lost one third of its trees. It was later designated and EF2. Footage of the event even made national TV news. Almost as big a story was why this happened. Tornadoes along the coast are nearly unheard of. According to the National Weather Service (NWS), this one was the combination of a lot of different elements coming together, some of them quite unusual. The NWS called the storm itself “rare,” in that it was a low pressure system that coincided with a storm that was atypically strong for this time of year, making things so much more unstable..." (Photo credit: Amy Van Dyck). Bill Gates Knows What Could Threaten The Human Race In The Next Decade. Thank you Esquire for a little light reading that helped me fall asleep: "...Gates has funded research into an algorithm predicting how quickly an epidemic would spread across the world. "Within 60 days it's basically in all urban centers around the entire globe," Gates told Vox last year. "That didn't happen with the Spanish flu." Spanish influenza killed as many as 50 million people in a year. Gates' algorithm predicted that a similarly deadly epidemic today would kill more than 33 million people in only 250 days, especially considering how mobile people have become..."
Remembering the Notable People We Lost in 2016. Next Avenue tallies up a very tough year: "Starting with the loss of David Bowie and ending with the passing of Debbie Reynolds, perhaps from a broken heart, 2016 was a heartbreaker for many of us. It was a year riddled with sad - often shocking - newsof celebrity deaths. We didn't know about Bowie's cancer, Patty Duke's sepsis, Prince's painkiller addiction, Gene Wilder's Alzheimer's or Carrie Fisher's heart disease until these icons were gone. As we marked the passing of these and other notables - Alan Rickman, George Michael an Merle Haggard, to name a few - we at Next Avenue looked for ways to shed light on their lives and deaths that would inform our readers and help them lead healthier lives..."
America's Mood Map: An Interactive Guide to the United States of Attitude. TIME reports; here are a few enlightening excepts: "...According to the study, the winners (or losers, depending on how you view these things) were in some cases surprising and in some not at all. The top scorers on extroversion were the ebullient folks of Wisconsin (picture the fans at a Packers game — even a losing Packers game). The lowest score went to the temperamentally snowbound folks of Vermont. Utah is the most agreeable place in the country and Washington, D.C., is the least (gridlock, anyone? )...The study, published in the Journal of Personality and Social Psychology, was an exhaustive one, spanning 13 years and including nearly 1.6 million survey respondents from the 48 contiguous states and the District of Columbia..."
HGTV Will Never Upset You: How The Network Beat CNN in 2016. Say what? Here's an excerpt from Bloomberg: "...The escapist appeal of looking at other people’s beautiful homes turned Home & Garden Television into the third most-watched cable network in 2016, ahead of CNN and behind only Fox News and ESPN. Riding HGTV’s reality shows, parent company Scripps Networks Interactive Inc. has seen its shares rise more than 30 percent this year, outperforming bigger rivals like Walt Disney Co., 21st Century Fox Inc. and Viacom Inc. HGTV’s formula is relentlessly consistent: a shabby house gets a makeover, and a happy couple moves in. A variation on the theme -- house-flipping for fun and profit -- works too. The network has aired 23 different flipping shows over the past few years. Today “Flip or Flop” and “Masters of Flip” run in prime time..."
Photo credit: "Drew and Jonathan Scott of HGTV’s Property Brothers." Photographer: Zack Arias/Used Film Studios via ScrippsNetworks. Cutting Edge Weather: 1957. WWL-TV in Cincinatti made history by being the first TV station to highlight real-time weather conditions from local sensors. Yes, we've come a long way. Image credit: The House of Googie, Tumblr. 32 F. high in the Twin Cities on New Year's Day. 24 F. average high on January 2. 30 F. high temperature on January 1, 2015. January 2, 1941: Grand Portage gets over 4.5 inches of precipitation in 24 hours. That's roughly how much normally falls there during the 'winter' months from November to February. As World Warms, How Do We Decide When a Plant is Native? Here's an except from Yale Environment 360: "...Natural range shifts of birds and other mobile species have been documented in the past decade, but new studies suggest that many native plants are also struggling to keep up with climate change by migrating to higher elevations or towards the poles. In an analysis of the flora of Worcester County in central Massachusetts in 2013, biologist Robert Bertin found that the ranges of native plants appear to be contracting. “Northern” species most widely distributed in upper New England, he wrote, are declining faster than the region’s “southern” plants, primarily from New England’s lower reaches, which are expanding their ranges northward. In a paper published earlier this year, biologists detected significantly fewer shifts in elevation by plants in California than by other organisms such as birds and mammals..."
Photo credit: "A view of Positano on Italy's Amalfi Coast. The region is famed for its scenery, but the steep terrain is also vulnerable to mudslides." Alfredo Sosa. Climate Change Highlights in 2016. Here's an excerpt from Huffington Post: "...May saw yet more records broken around the globe. In India, temperatures reached an incredible 51 degrees Celsius (124 degrees Fahrenheit) in Rajasthan, breaking the previous record high. Severe drought followed the extreme heat ― at least 330 million people were without sufficient water. The heat and drought compounded the misery for many people, especially in rural parts of the country, who were already dealing with several years of below-average monsoons, which are becoming more erratic because of climate change..."
With Enough Evidence, Even Skepticism Will Thaw. A scientist who was skeptical of the changes taking place in Greenland changed his mind after seeing the changes in person. Here's an excerpt of a gripping account at The Washington Post: "...Greenland is the largest island on Earth and home to its second-largest ice sheet after East Antarctica. It’s pouring 281 billion tons of that ice into the ocean each year, a major contribution to rising seas. Much of the loss comes from some 200 outlet glaciers, which extend out to the sea like fingers of the larger ice sheet. The great fear is that Greenland’s ice loss is accelerating, and that’s why much attention has been directed at Petermann. One expert has called it one of the island’s three major “floodgates,” and the only one that has not yet opened. In part, the Petermann Ice Shelf has been slower to disintegrate simply because it is in a much colder place. But that is beginning to change, and Muenchow and Nicholls are trying to understand the mechanics of how it might break apart..."
Photo credit: "Stephen Hadley said climate change will be one of the top national security issues for the next administration." | RODNEY LAMKEY JR. for POLITICO.